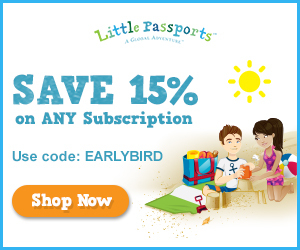 Saving on Travel with Groupon Coupons - Baby, Jet Set, Go! Oh, the art of couponing! There’s so much to be said about it. I’ve always been a coupon girl. While in the Philippines, these weren’t exactly the big saver you’d see in other countries such as the US, I have fond memories of coupons from fast food stores that they give out every Chinese New Year (hello McDonald’s and Jollibee!). While living in the US, couponing has become of those odd habits one develops that allows you to save a ton of money if you really get into it. It can bring down the cost of everyday groceries such as toothpaste or a can of tomato sauce down to like 5 cents, the downside is you need to get them in bulk, but these non-perishables are always good to keep for years anyway. I remember seeing the show Extreme Couponing on cable and loving every minute of it. After all, who doesn’t want to save money, right? And these people found a way to do it to the extreme! Some are saving thousands of dollars on food every month. So why do I talk about couponing in our family travel blog? Like many things in the real world, couponing has translated to the digital arena. I first discovered it when I was getting my domain name from GoDaddy and the site asked me for coupon codes. Naturally, I became addicted to looking for coupons online. As most of our readers would know, I spent about a third of my life doing digital work for a travel company. It was only the most natural transition to do all my travel transactions online. This is when I found out that sites like Groupon Coupons also cover travel! Groupon Coupons is actually a wonderful site in itself, even without the additional travel perks. They offer huge coupon discounts on many big retail brands that I already love. (Hint: Be on the lookout for their fashion items. You’ll go gaga over the selection). HomeAway Coupons – A great site for vacation rentals — they have 1 million listings all over the globe. Save even more with coupons. One Travel Coupons – Cheap flights, hotels and vacation packages, made even more affordable with coupons. If you haven’t yet, I urge you to check out Groupon Coupons. Do you use any other online couponing site for your travel deals? Let us know about it in the comments below! As always, thanks for stopping by and hope you give us some love on social media by sharing this article or our page. This entry was posted in Travel Planning and tagged Groupon Coupons.